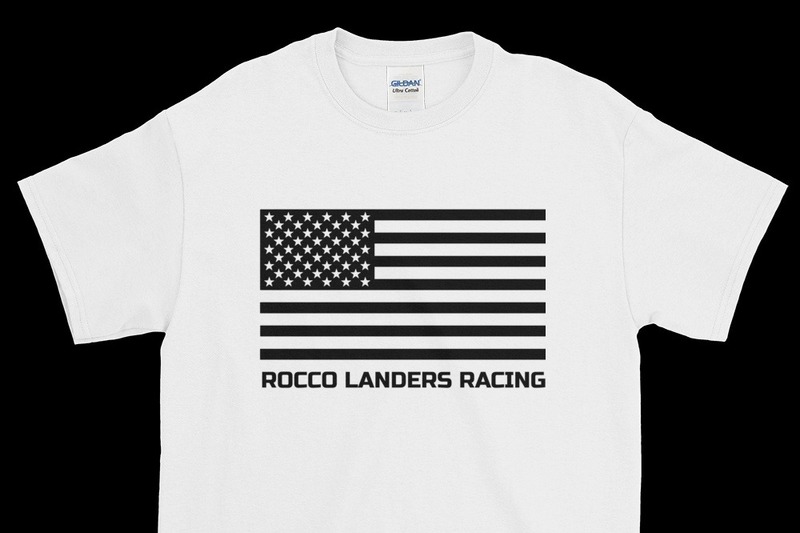 Fundraiser by Rocco Landers : Help Rocco Race on U.S. soil in 2019! Help Rocco Race on U.S. soil in 2019! 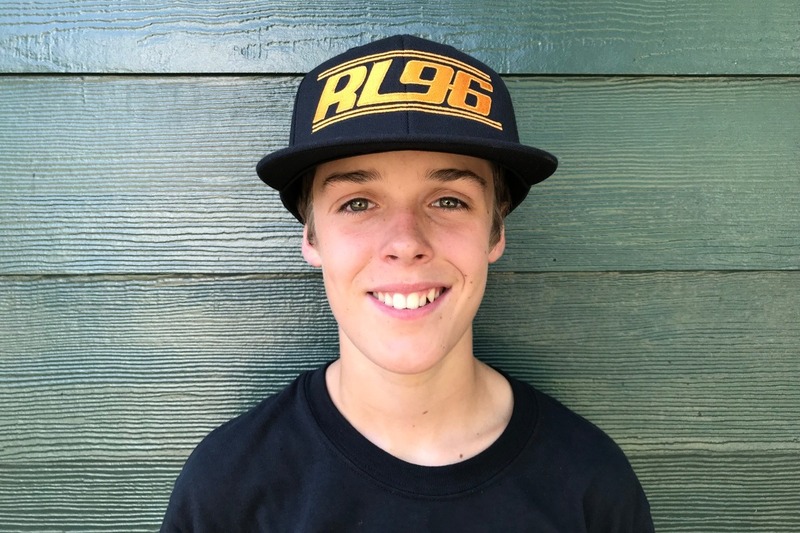 This is a campaign to help Rocco Landers - a 13-year-old motorcycle racer - contest the 2019 Moto America Liqui Moly Junior Cup! Who could be the next American World Champion? How did we fall so far behind in world competition? The answer is national enthusiasm for the sport. In Spain and Italy young riders are supported and encouraged to succeed at road racing by the whole community. Champion racers are full on "A-List" rock stars, EVERYONE knows who they are. At this moment we have the opportunity to push one of our own up the ultra-competitive European ladder to stardom and American pride, Rocco Landers. Rocco has shown great talent abroad with 4 years of good results racing in Spain and Italy; he has momentum and YOU can help by your generous donations to get him through this coming season where he has a legitimate chance of winning not only the Moto America Liqui Moly Junior Cup but also for gaining a seat in the famed Red Bull Rookies Cup in 2020. Many of the current stars began as a Red Bull Rookie, including current Moto GP World Champion Marc Marquez and a host of others. 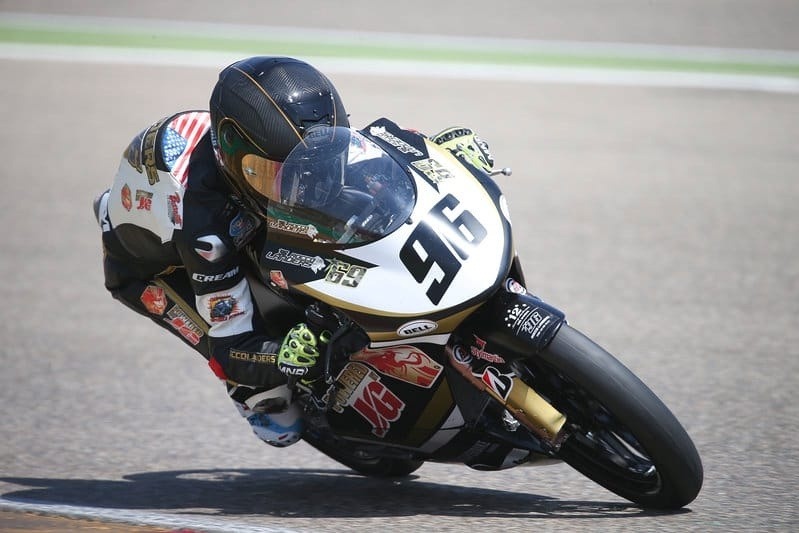 Your donations will put him in the spotlight and would guarantee him the notoriety needed to race in the American Junior Cup Championship and make the Rookies Cup. He has the talent. Rocco has won 200 races and 15 championships in the U.S. He has the talent to succeed. He has a fantastic team behind him. He is one of a handful of Americans attempting to vault the U.S. back to the top of the sport. Rocco wants to be the best and get after it against the best. We know, with his hard work ethic, natural talents, and the right support system - THAT INCLUDES YOU! - he has the ability to contend for a MotoGP Championship in the future. With your donations he can continue to ride, develop, and progress into becoming a professional motorcycle racer. If you donate $250 or more you will receive a t-shirt! The shirt color will be white and the design color will be black. Rocco Landers, at age 13, is one of America’s fastest road racing kids. In 2010, at 5 years old, Rocco started racing in a local California Minimoto Racing Series. His first race weekend was at Buttonwillow Raceway Park. His lack of knowledge of the racing world yet his desire to be #1 was evident when he pulled in after his first practice and asked his Dad... "Dad, Did I win!?" In fact that weekend he did end up winning the first race he entered, beating kids with plenty of racing experience. He ended up winning a championship in his first year of racing. In 2011 and 2012 he continued winning races and championships. After winning over 200 races and 15 championships in the U.S.A., it was time for a new challenge. In 2013 Rocco made the trek to Italy to race against some of the fastest kids on the planet. With a best finish of 8th in the CIV SAV Category, it was evident there was still a lot to learn. In 2016 Rocco went back to race in Italy to compete in the Mini GP 50 class with Pasini Racing aboard an RMU 50cc two-stroke machine. His best race finish was a 4th place, and he placed 8th in the overall championship. In 2017 Rocco changed countries, moved to Spain for most of the summer and competed in the Spanish RFME 85cc Championship aboard a Beon where he finished 5th overall in the championship. In 2018, Rocco once again returned to Spain to contest the Spanish 85cc Championship and placed a respectable 4th place in the championship with 2 podiums! In 2019, Rocco will make a change, compete on U.S. soil to contest the Moto America Liqui Moly Junior Cup aboard a Kawasaki Ninja 400R. Any amount helps and we appreciate your support!